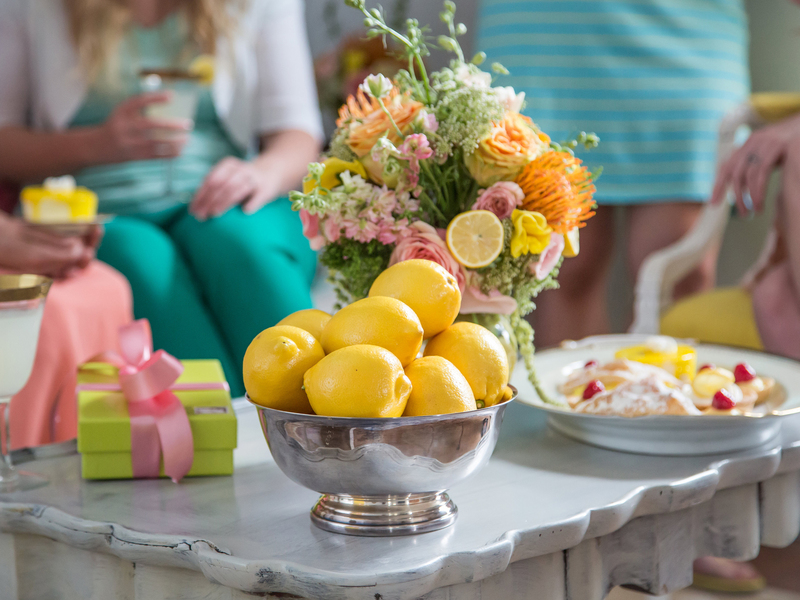 The centerpiece is the key detail to any festive table. And there are countless ways of creating one. And if you are out of ideas for making yours, then I will help you. 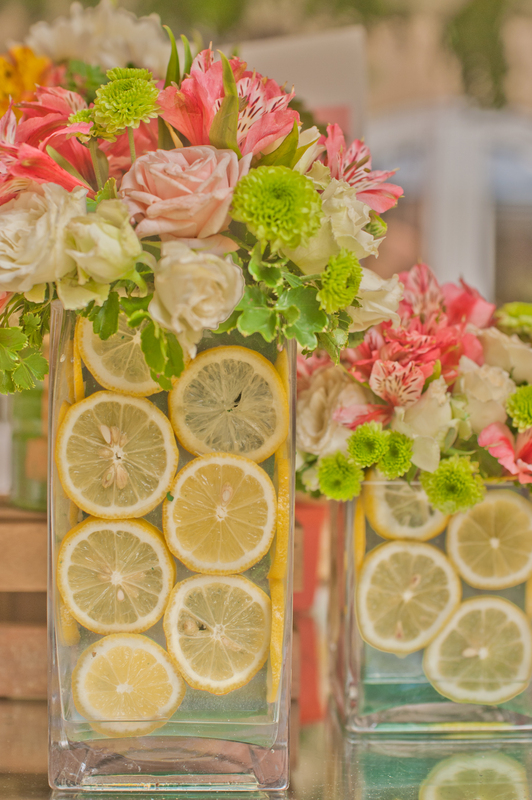 How about using something as simple as lemons? 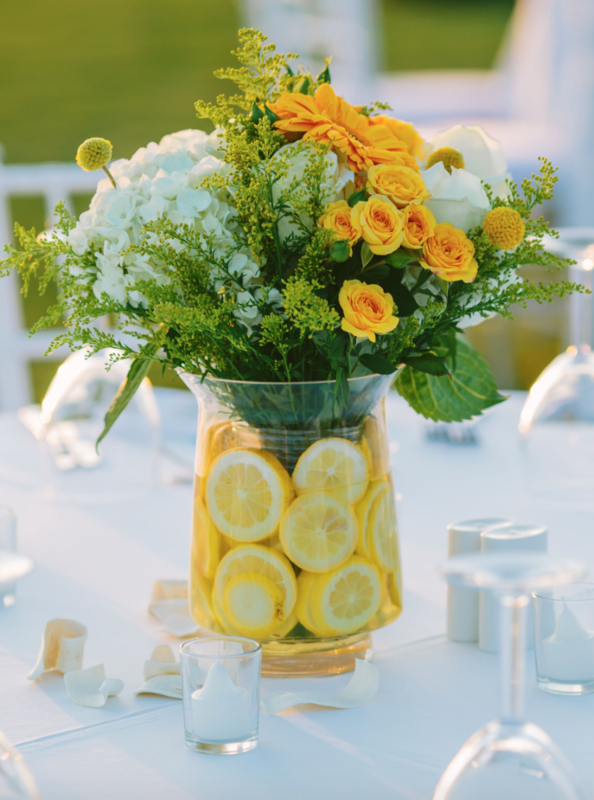 They can brighten up your table for sure. And the best part is that it is cheap and easy to make. Are you ready? 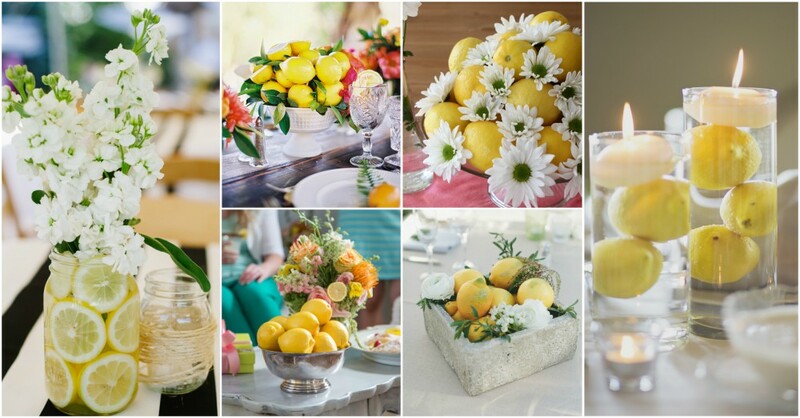 I present you the best ideas for a DIY lemon centerpiece! 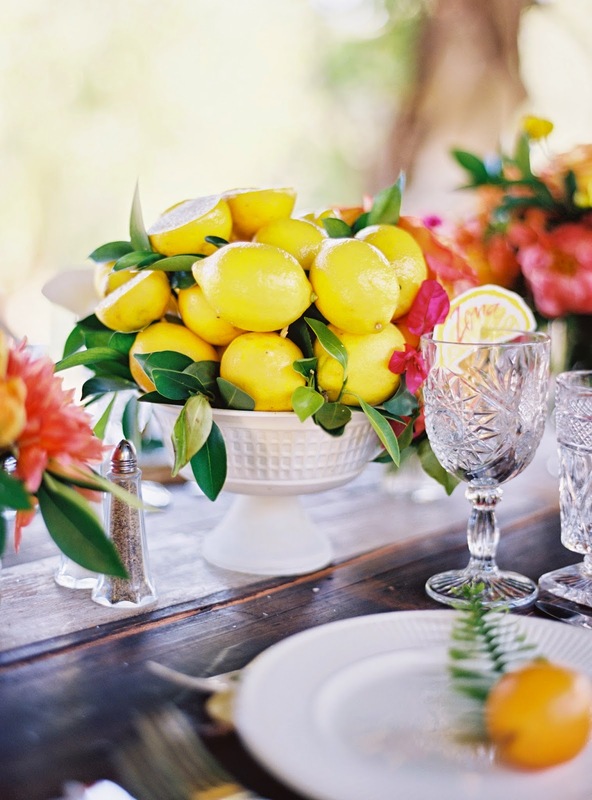 These wonderful decorations will fit in any table. It does not matter which occasion. 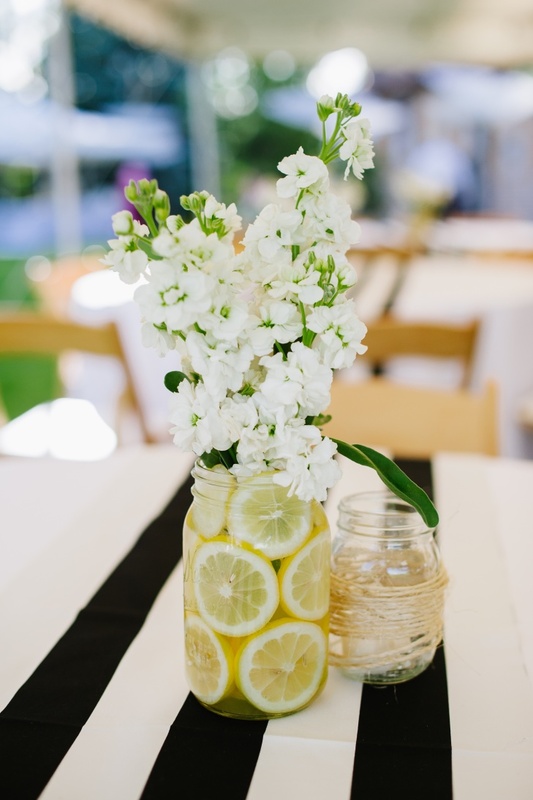 You can use these on weddings, family gathering, baby showers, or just ordinary days if you don’t want to have an empty table. Big or small, you choose it. You will love these simple ones. 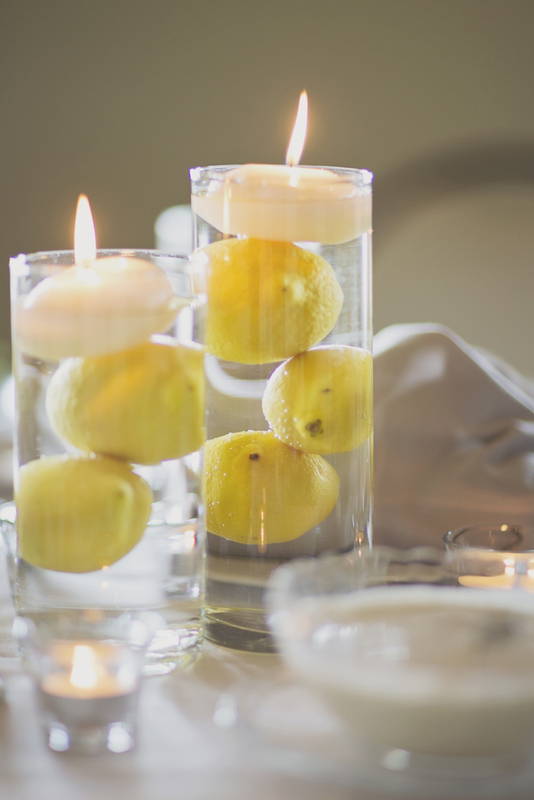 Fill a large vase with water, 3 lemons and put a round candle on top. This looks very fresh. Also, it can be used as home decor too. 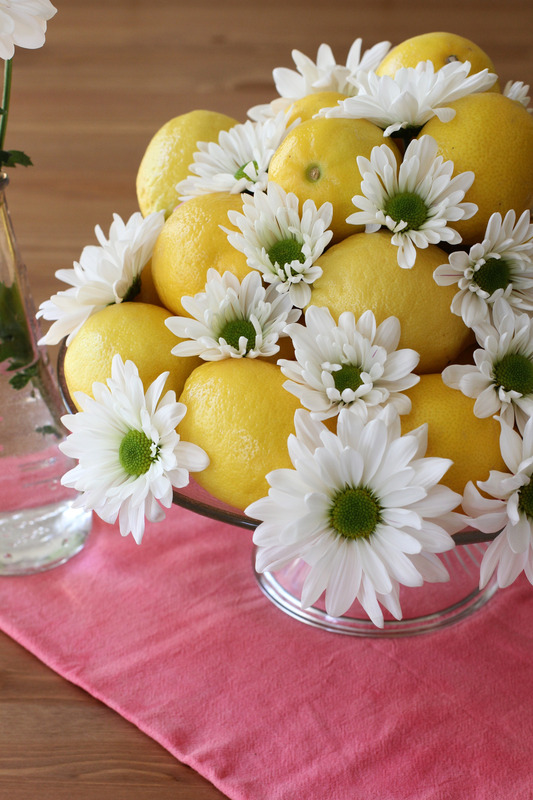 The vase with thin pieces of lemon on it’s sides will look splendid. 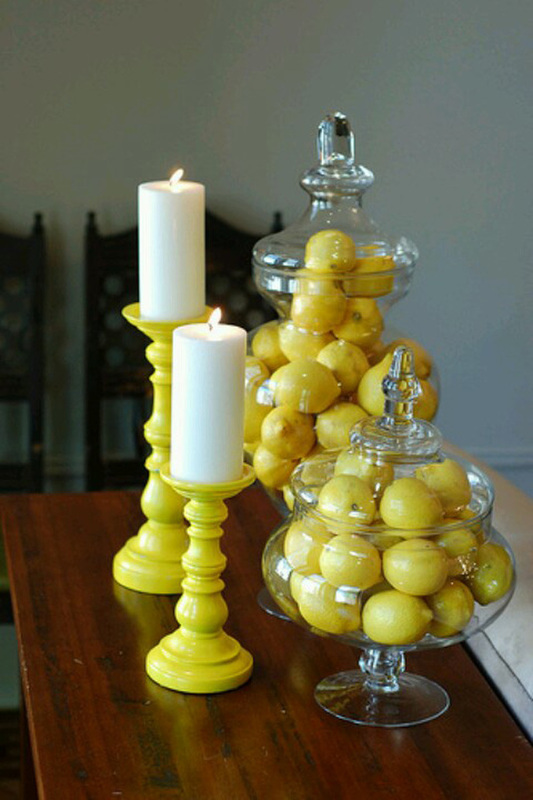 The best part about using lemon in decor is that it will not loose it’s shape quickly if you cut it. 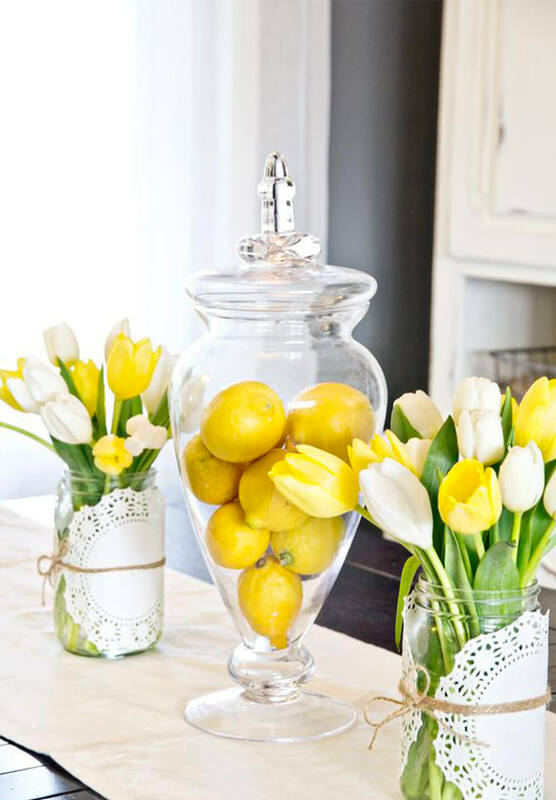 That way, you will have fresh decor all day long. And even better, the citrus smell will be so enjoyable. 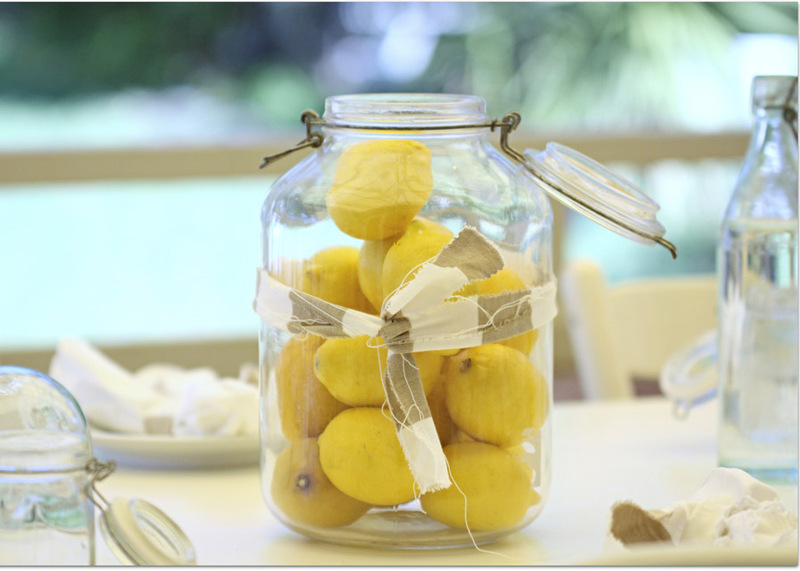 And if you want to use whole lemons, then this is the best idea. Find an interesting glass jar or bowl, that has to be transparent. Take a lok at the one below. 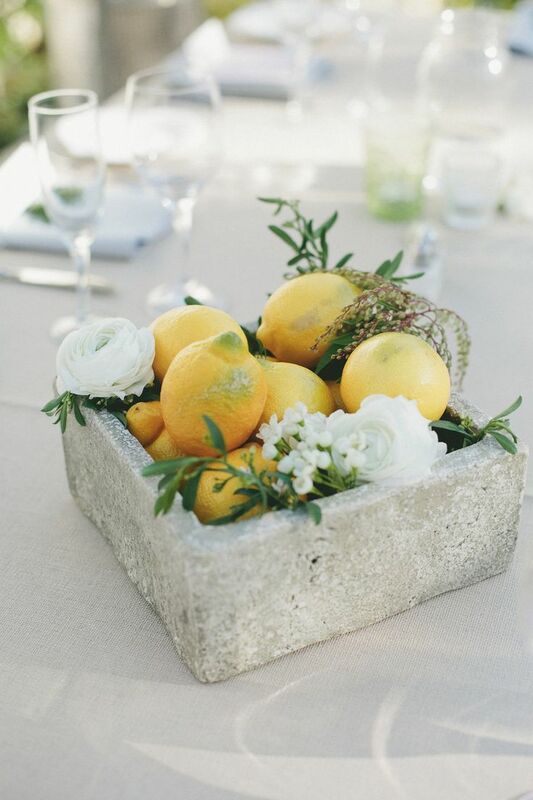 So simple, but yet creative and decorative. 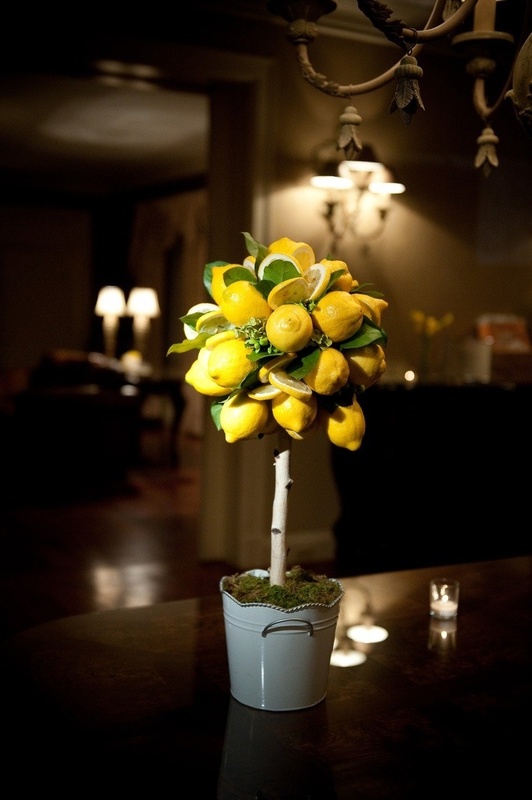 And if you are more on the crafty side, a lemon topiary will be the right challenge for you. See the example below. It will amaze your guests for sure!